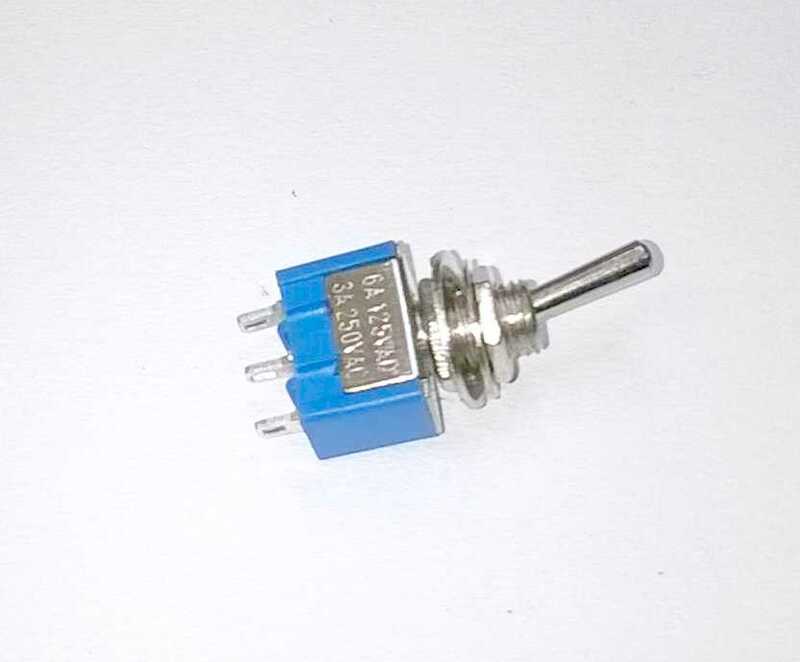 A miniature toggle switch, for a 6.3mm panel hole. Available in an on/off, or on/off/on version. Current rating 5A. A miniature toggle switch, for a 6.3mm panel hole. Available in an on/off, or momentary on/off/on version. These are used in our hand control box for lights and horn. The centre off switch is centre biased (MOM-OFF-MOM), so returns to the central off position when released.